While many of these options are good and healthy, others you should stay as far away from as possible. Recently, a professional baseball player died at the age of 23. In his locker, a bottle was discovered containing Ephedrine. Consequently, the FDA just issued a warning that people need to heed. The key to a healthy diet is to eat a variety of foods. 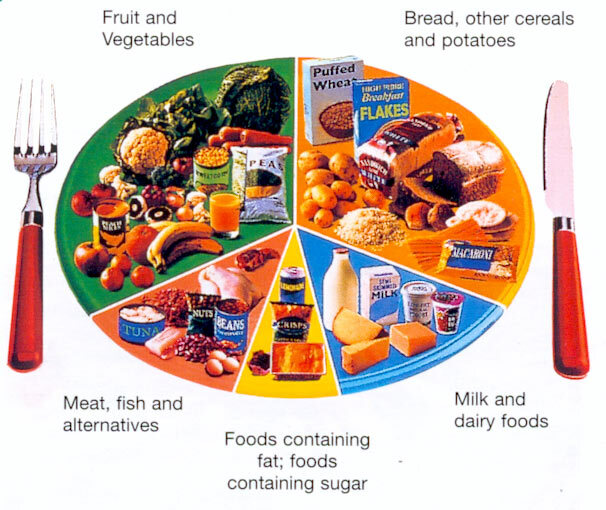 The Balance of Good Health shows the type of food and proportions required to achieve a well balanced diet. For most people, a healthy diet means eating more fruit and vegetables fresh, frozen and canned. When selecting a meal plan, make sure you are consuming a balanced and complete diet. Your assignment is to set realistic and attainable diet goals. Start by following the simple guidelines below. Commit to consuming 4 – 6 small meals and snacks everyday. Keep it simple. Don’t get too caught up on the specifics or your diet. Start by simply just counting calories.